The indicative layout for Outline Planning now shows 13 homes (one extra) being proposed by Crabtree Homes Ltd for land to the east of Hermitage Lane, with access off Nether Lea. (see layout below). The mound to the east (allegedly to deflect interference to JBO) has been removed. The decision, by delegated authority, has been moved to the end of March 2019. Before these changes Goostrey Parish Council had objected – as had JBO. Jodrell Bank Observatory were also opposed to a previous application for 26 homes at this location (Ashalls submitted a different proposal in 2014 – 14/1964C ; refused and then withdrawn before appeal). 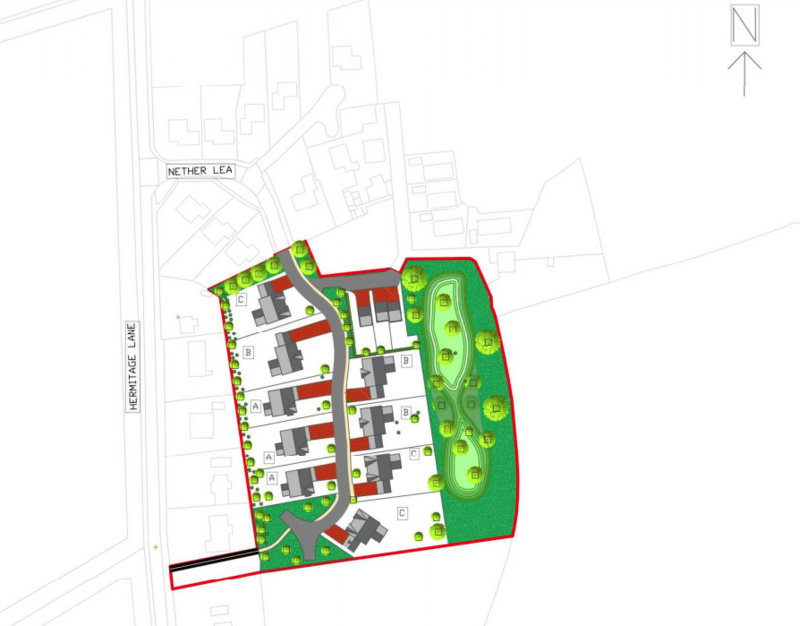 “The development will provide a mixture of market and affordable homes enhancing the land which has previously been used for agriculture and is currently empty .” Design & Access, Crabtree Homes. This entry was posted in Hermitage Lane, Planning Applications, Uncategorized. Bookmark the permalink. Can someone tell me the demand/justification for this housing development? Not really – other than profit for the developers! CEC’s new draft SADPD (Sept 2018) doesn’t allocate this site for development, or require any new houses in Goostrey.